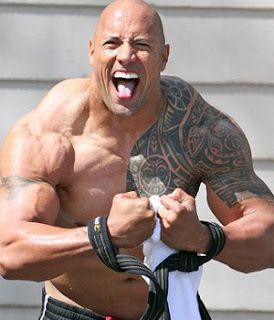 The Rock workouts and diet tells that The Rock (Dwayne Johnson) is a star of the upcoming movie Faster as well as a former WWE superstar and college football player. 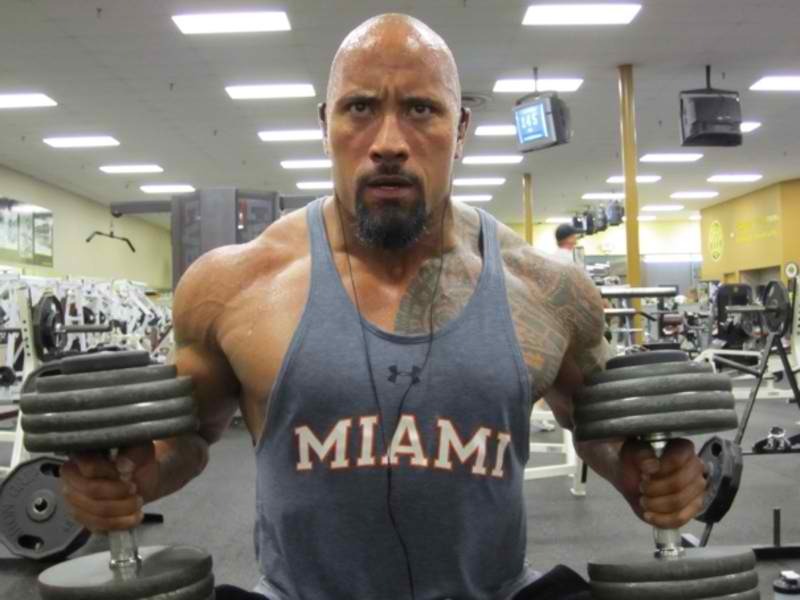 It wasn't that long ago that the man known in the WWE as "The Rock" was a bulky 280lb defensive lineman at the University of Miami. 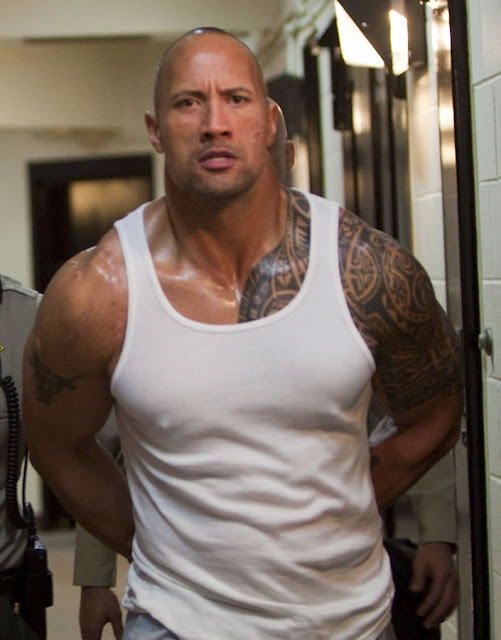 However, The Rock's training helped transform him into a chiseled 260lb wrestler and then into an athletic 225lb movie star. 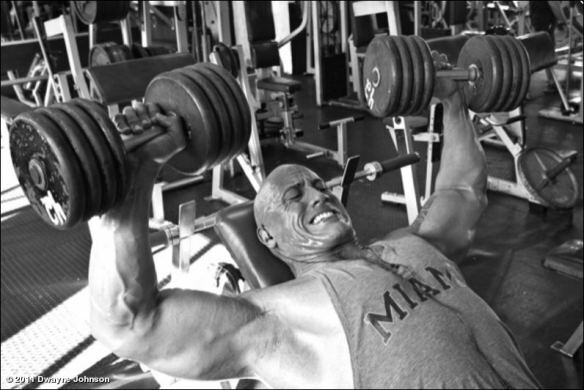 *21s are 7 uppwer half partial reps, 7 lower half partial reps and 7 full reps.
With his old diet regime, The Rock simplay wasn't eating enough. He'd also stop his carb intake after 3 pm., which left his body without fuel. The result was lower metabolism. All that changed when trainer Billy Beck kept The Rock's body stoked with the following meal plan-an average of 600 calories a setting, six times a day. with burning fat in mind. "You've got to intoduce balance into your diet." Beck says. "Think of a Mercedes symbol; the ideal meal is a combination of lean protein, starchy carbs, and fibrous vegetables." Now, you probably don't carry 245 pounds on a 6'4" frame, so you won't consume Rock-like volumes. But with a little long division, the principles can work for you. For instance, a 180-pound Dwayne wannabe woud need to pack 3,100 calories a day. Vigorus muscle makers of other sizes can adjust their meals accordingly. Here's what fuels a typical day in the life of The Rock. ANSWER: because yellow part of egg(yolk) contains higher cholesterol Overeating can make you fat but if you eat in limit then yolk is also good for health. That's true! He once made a comeback in the WWE, and aside from the tattoo on his arm, I also noticed the great improvement on his body. He looked more firm and I thought he looked better than before. I wonder if he was using any supplements such as a pre or post workout supplement. Its kinda hard these days to go without any supplementation. Roids People....seriously you can't do this without help. Are the serving sizes for the oats/grits/barley, as mentioned in this article, the dry or cooked measure? Thanks. Why are you having carbs in meal 6 ?.When you consume carbs at night it releases insulin into your system and that inhibits your bodys release of growth hormone.Growth hormone makes you leaner and keeps your body drawing up the protein and nutrients. Those abs, and no ab workouts?! NEVER? Odd. BILL P - Those abs, and no ab workouts?! NEVER? Odd. This is the perfect blog for anyone who wants to know about this topic. Now, I know the secret of my idol, the Rock. Thank you for sharing! Great story. I’m so glad you shared it here, it’s inspired me to also move forward on my journey and realize that every step does count!this was awsome i enjoyed reading. great workout you got there!